A fundraising trio is carrying out a unique hospice-to-hospice scooter ride in aid of four local charities. Keen fundraisers Jaqui Collins, 52, mum Mo Collins, 76, and friend Deborah Keenan, 46, from Accrington, will be riding to East Lancashire Hospice, Derian House Hospice, St Catherine’s Hospice and Pendleside Hospice throughout March on consecutive Tuesdays as part of the Hospice 4 Hospice challenge. Jaqui - a former Sergeant Major who served in the army from 1982 to 2004 in the UK, Northern Ireland, Germany, Cyprus and Bosnia – wanted to help after her best friend and former colleague experienced hospice care. Roy Silva stayed in East Lancashire Hospice at the start of 2016 before his death in February 2016, following his diagnosis of terminal neck and throat cancer. Since then, Jaqui has carried out a range of fundraisers for the charity. The trio will begin their challenge at 10am on Tuesday 7 March from Accrington Town Hall and will ride the six miles to East Lancashire Hospice, collecting donations along the route. All money raised during the journey, which could take several hours, will be donated to the hospice. 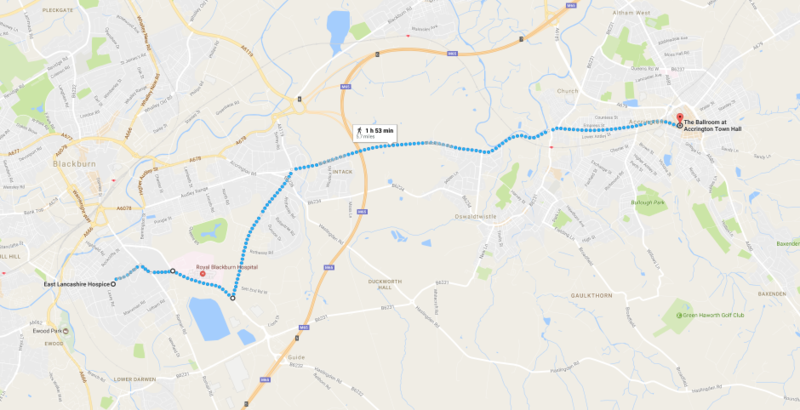 The second leg of the journey will take place the following Tuesday, 14 March, when they will resume their journey from East Lancashire hospice and ride to Derian House. The following week, 21 March, they will ride from Derian House to St Catherine’s Hospice, and on 28 March they will complete their challenge by riding from St Catherine’s to Pendleside Hospice where they will receive a hero’s welcome. Sharon Crymble, fundraising manager at East Lancashire Hospice, said: “Both Jacqui and her mum Mo have put a great deal of time and effort into raising funds for the hospice, and their fundraising ideas ensure that their events are fresh and in most cases, quite a challenge. 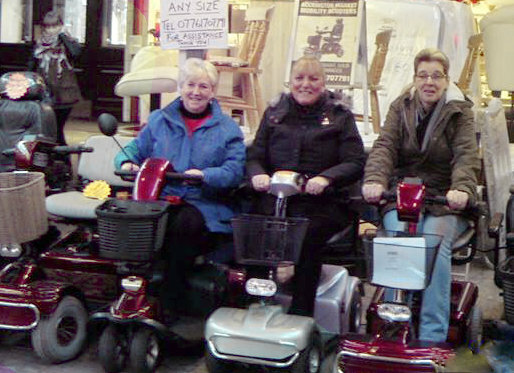 Accrington Mobility in Accrington Town Hall has loaned the trio the use of three mobility scooters for their hospice-to-hospice ride. The trio have arranged a variety of activities over the past year, including; pop-up shops, car boots, family fun day’s and physic nights and have raised more than £14,000 for East Lancashire Hospice.